apologies, Got the screenshot, give me a days time, will keep you posted. Was the palmrest replaced anytime in the recent past? 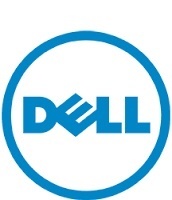 Update the BIOS from support.dell.com - http://dell.to/1kGWIcI - enter the service tag and select drivers and downloads and run the BIOS update. Restart the system and keep tapping on f12 key and select diagnostics. Run the test and make a note of any errors that you might possibly encounter and reply with the error details. Restart and try installing the drivers in compatibility mode if required. the issue start after I start the DOSUPDAT.BAT file to update the firmware, there is no bluescreens/ system crashes, I tried to restore the system on earlier point but the same error displayed. no I didn't replace it, it was work properly before installing windows 64bit. I have installed the latest version of bios. I did the diagnostic test, it is pass without error. I tried to install using compatibility mode, but the same error occurred. I have enabled the built in admin, and installing the DDPA without luck. please make sure that the sleep.exe and ushdiag.exe in the DOS folder in the firmware files is compatible with windows 64bit. We are in touch with our R&D team to look into this. Once we have an update will keep you posted. Apologies for delay in response. Yes, it is work successfully. I have uninstalled DAP Version 2.3.00003.072,A09 then restart and install Version 2.2.3.9,A06.